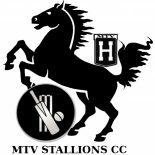 MTV Stallions cricket club | Cricket team from Hannover, DE. We love a good beer as much as a good game of cricket, in a mutually exclusive way. Cricket team from Hannover, DE. We love a good beer as much as a good game of cricket, in a mutually exclusive way. REGISTRATIONS OPEN!!!! Located near the lovely Herrenhausen Gartens, Hannover. Scenic settings for a lovely weekend of cricket! !